A Telluride getaway, Disneyland's big bash, a film fest—and more! 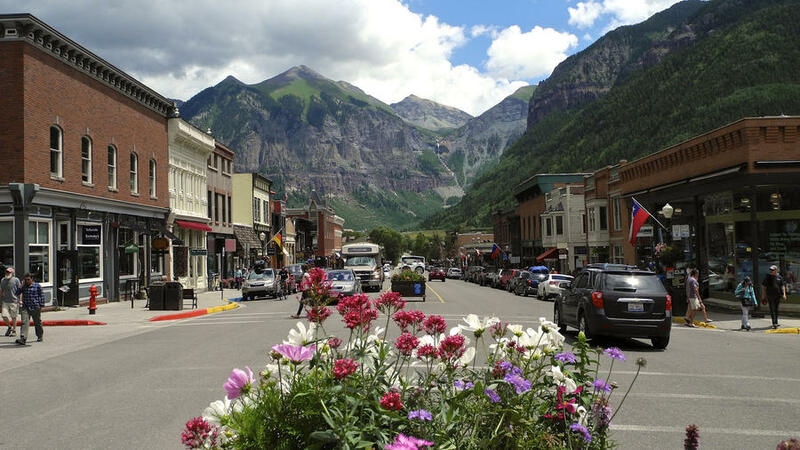 A Telluride getaway, Disneyland’s big bash, a film fest—and more! The Colorado town of Telluride sits within a box canyon. In honor of the Memorial Day long weekend coming up, we’re packing our bags and getting an early start on the weekend’s adventures! Here are our 5 favorite travel finds of the week. “Every time I play the ‘if you could take one trip in Colorado this year, where would it be?’ game, Telluride always wins the popularity contest.” So writes Natasha Gardner in her great first-timer’s guide to Telluride, via Sunset magazine. From SoCal hot springs to cycling trips, Weekend Sherpa has six fun ways to celebrate Memorial Day outdoors. Cue the Portlandia jokes: This weekend, everyone’s favorite hipster city hosts the 13th annual Filmed By Bike fest (May 22 – 24) featuring (yes) movies shot by cyclist-filmmakers. Portland Monthly Mag has a rundown of all the film fest parties and events. Disneyland’s big Diamond Celebration kicks off this weekend—in preparation for the park’s 60th anniversary, this July—with a 24-hour party featuring three brand-new shows. In other words: Anaheim or bust. Want more travel inspiration? You can find past travel roundups here, here, here, and here!